Got a little behind last night and this morning, so if this is a little brisk and choppy, I apologize in advance. At the top of this blog, I've added in a random slide show from my Flickr sets - planning on periodically choosing one from my feed. Actually, had just done this to show another blogger how it works, but upon reflection, felt it was a nice addition. Kogswells have always been interesting bicycles to me. Back when this Gallery was gaining momentum, they populated the entries and much of the conversation on the iBob list. To my perspective, they were one of the first steel, lugged production frames to gain visibility after Rivendell. 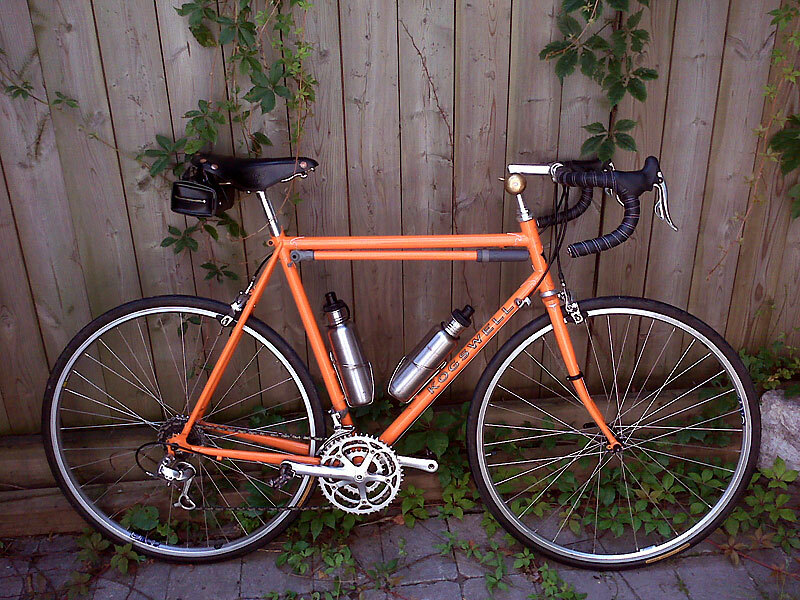 As a value proposition to the Rivendell, it let many riders get contemporary lugged steel within their monetary constraints. Kogswell probably helped the connection between Rivendell and Maxway, who was the Taiwan-based company which built the Kogs. This led to the Bleriot, and now the current Sam Hillborne, Betty Foy/Yves Gomez and upcoming Hunqapillar models. But, it's these earlier bikes - the D, G and P series - which got them going. Although I visit cyclofiend more often than I care to admit, this is the first time I came across your blog. Nice! I like your take on Kog's notch in the seatpost of bicycle history and I'd love to stumble into a model D or P in my size...but so far no luck. Thanks for the kind words. I'm excited about the idea of focusing on newer entries and different aspects of the Galleries. The early Kogswells seem not to show up too frequently on the used market. I'm not sure how many are out there from that period. May have to do a little more research to find out.